As part of choreographer and dancer Sue Healey’s performance piece ‘The Curiosities’, I was asked to create an animated visual response, which could work both as a short film and an installation piece for the performance. Inspired by a poem by New Zealand poet laureate Jenny Bornholdt the piece was first developed by Sue Healey as a work of dance. 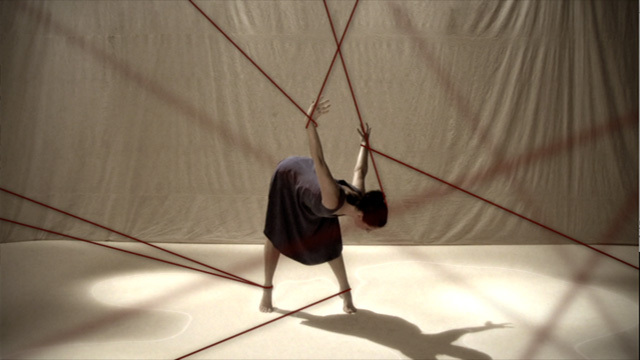 The performance was then filmed within an isolated space, with the intention of then creating animations that would respond to the film captured, and as importantly, the movements and tempos of the choreography. They key to the animation was to be responsive to the filmed elements. In a way, we didn’t want to ‘interfere’ with the process at the performative stage, but rather, wait for the final, edited version of the captured performance and animated and respond accordingly. This wasn’t a way that I had naturally operated before (when animating with live-action footage), but it did in this instance free up my process(es) and allow new ideas and elements to be introduced. Many of the visual elements used were inspired by early anatomical illustrations, which provided a palette of colours and imagery that could extend the more neutral tones of the original film footage/edit of the performance. This in turn influenced the types of animations created, with growth and decay being central to how we created movement and transitions throughout the piece.